Carol Labi developed her business, financial and communication skills in her 25 years of business experience. Carol Labi developed her business, financial and communication skills in her 25 years of business experience. They have translated well into her real estate career. She is extremely familiar with various Westchester communities. She has been a resident of Westchester County for over 15 years, having resided in Scarsdale, Harrison and Rye Brook. An energetic agent, Carol is accessible and available 24 hours a day. She understands that a real estate transaction can sometimes be an arduous and emotional process. 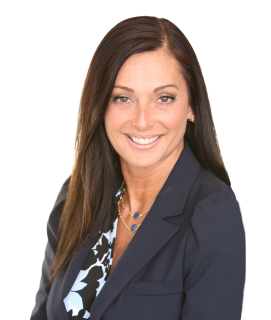 Carol ensures that her clients are supported, educated and served with technological savvy and a commitment to value. Her professional approach and attention to client services distinguish her from other real estate professionals in the area. Carol graduated from the George Washington University and earned a Bachelor's Degree of Business Administration in International Business and Marketing. For the 15 years prior to her real estate career, Carol held executive positions in top New York financial firms. Her two children have attended various schools in Westchester. In addition, Carol is a Licensed Real Estate Salesperson in both New York and Connecticut. She is an Accredited Buyer's Representative (ABR), which she obtained by successfully completing the designated curriculum. Carol also has earned the Short Sales and Foreclosure Resource Certification (SFR) by the National Association of Realtors. Carol is a member of the Westchester County Board of Realtors, the National Association of Realtors, the New York State Association of Realtors, the Westchester/Putnam Multiple Listing Service, Westchester Chapter of the Women's Council of Realtors and the Rye/Harrison Multiple Listing Service. She continually takes educational classes in ethical, structural and environmental issues to increase her expertise. In past years, she has received the Silver, Gold and Platinum awards for sales volume. Carol Labi was very professional when showing my house. She was very conscientious of our wants & needs. She helped us purchase one house and sell our previous house, faster than expected in an uncertain· marketplace. She is very plugged in to the market and knows what is out there.